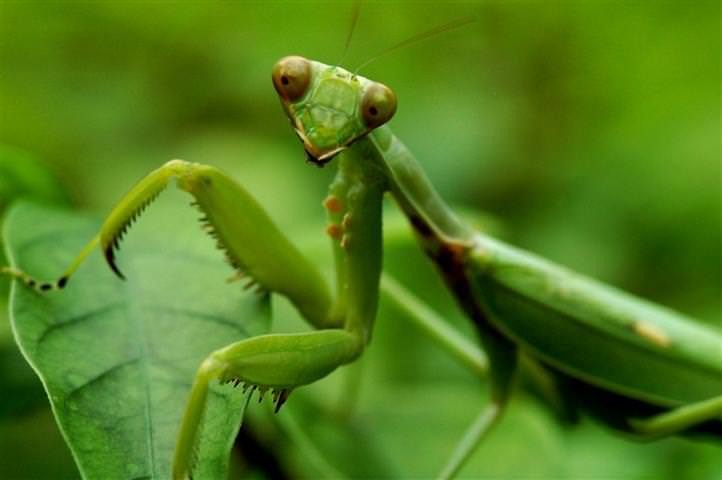 Home Diet & Eating Habits Do Praying Mantis Eat Plants? Not really! 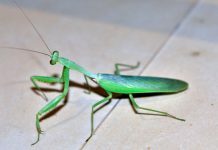 The praying mantis is a ravenous meat-eater insect one that has evolved to occupy its ecological niche. 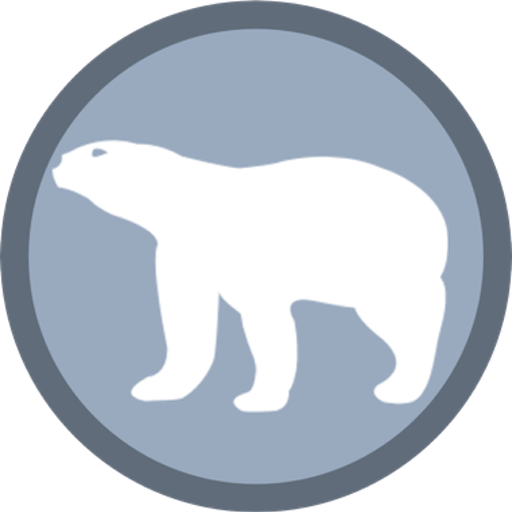 It is a super carnivore. Mantises prey on carnivores as well herbivores. However, they will also supplement their diet with pollen. Praying mantis let alone the captive individual is most likely to feed on pollen in flowering plants. Mantises are known to spend a reasonable amount of time on flowers not only to consume pollen but also to take on primary prey that is flies or bees. 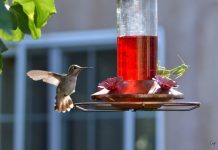 Flowering plants usually attract many flying insects. Let’s see how do praying mantis eat plants. During fall praying mantis finds it harder to hunt arthropods. The limited supply of food forces mantis to choose altogether different yet better alternative. 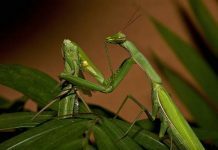 Pollens—the chief source of proteins is highly preferred food for mantis as their primary food is scarce. For instance, the Chinese mantids (Tenodera sinensis) frequently eat pollens especially after hatching. Adult mantis also fancy feeding on pollen-laden insects. The praying mantis nymphs likely consume pollen that indeed prevents them from starvation at eggs hatch. Scientists however have yet to comprehend the significance of pollen in praying mantis diet. They aren’t quite sure as to what fitness benefits pollens offer to predators such as this. 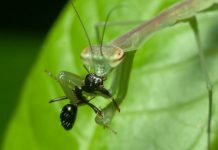 Although mantids mostly rely on their vision they can also use olfaction to Search suitable food source. Although mantids mostly rely on their vision they can also use olfaction to look for suitable food source. Mantids have the ability to detect odor released by the pollen. 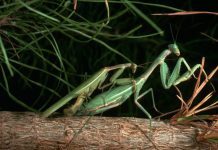 Many researchers are trying to understand out the feeding behavior of mantis in the field primarily because mantis spends only 5% of their daily time looking for food. The laboratory experiments can only tell us the limited mantis’ behavior in a limited setting.